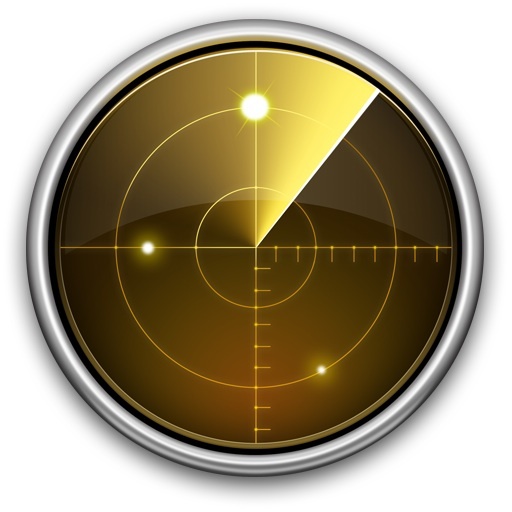 Network Utility is a great tool that has been around on the Mac since the very first version of OS X. It provides a variety of helpful networking tools and details, the “Info” tab includes general network info on a per interface level showingIP address, MAC address, link speeds, and sent/received data transfer statistics, and you’ll also have easy GUI access to what are otherwise command line tools, like netstat, ping, nslookup, trace route, whois, finger, and a port scanner. Having long resided in /Applications/Utilities/, Apple saw it fit to relocate the Network Utility app from its longstanding home to a new location within a system folder, making it a bit harder to access if you’re looking through the file system. Don’t worry, there are still super-simple ways to access Network Utility onward from Mavericks and Yosemite though, and that’s what we’ll cover. You can jump directly to that folder by hitting Command+Shift+G to summon “Go To” and then entering the path. 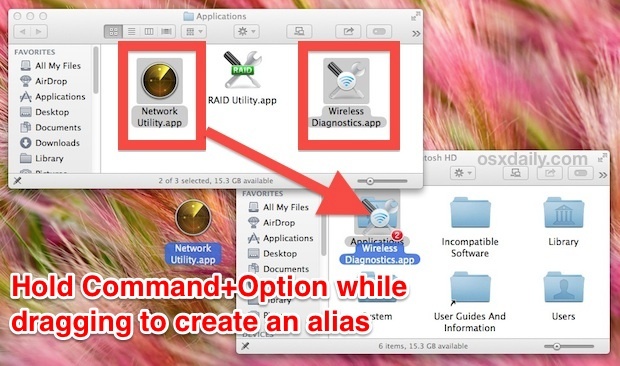 Now hold down Command+Option and drag the “Network Utility” app into the Applications folder, LaunchPad, or the Dock to create an alias for quick access (while you’re in there, you may want to send “Wireless Diagnostics” to LaunchPad or the Dock too, it got a facelift and remains an excellent wi-fi utility, scanner, stumbler, and signal optimizer app). If you don’t want aliases sitting around in the Applications folder, and don’t want the app to sit in your Dock all the time, then the easiest way to launch Network Utility directly is through Spotlight. Hit Command+Spacebar, then start typing “Network Utility” and hit return when the application is returned in the search results. This is my preferred method but I’m a huge fan of using Spotlight as an application launcher in general. This launches directly into Network Utility, but because you have to open another app to get there, it’s probably not the quickest method compared to Spotlight, placing it in the Dock, or using an alias. Thanks to @thegraphicmac for the tip inspiration. Have any tip ideas or something you’d like us to look into? Let us know on Twitter, Facebook, Google+, or email! And what is supposed to show if the ping is successful? I requested only 5 pings and entered “www.msn.com” in the network address to ping box and nothing is happening other than the little spinning animation next to the stop button. Obviously, something is wrong, yet I am able to connect to the www using Safari. Grand — more user-unfriendly shenanigans from Apple. Why make any activity more sophisticated than checking your email so irritating?